UNIVERSAL CITY, Calif. – Jan. 6, 2014 – “Days of our Lives” has equaled its biggest women 18-49 audience for a fourth quarter in three years and generated its biggest overall audience for a fourth quarter in four years, according to “live plus same day” viewing figures for the week of Dec. 2-6 from Nielsen Media Research. For the week of Dec. 23-27, "Days of our Lives" (0.8 rating, 5 share among women 18-49, 0.4 rating among women 18-34) tied for #7 among network daytime series in the women 18-49 demographic and tied for #9 in the women 18-34 race. 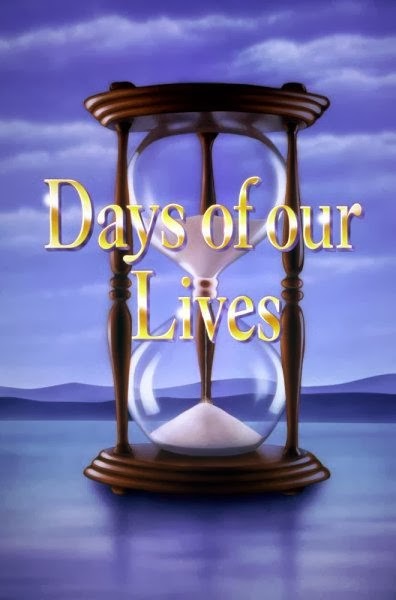 The holiday week concluded the fourth quarter of 2013 for "Days of our Lives," which tied for #6 among network daytime series in the women 18-49 category with an average 1.1 rating and tied for #5 in the women 18-34 demo with a 0.6. For the quarter, "Days of our Lives" finished up 7% in the women 18-34 category (with 216,000 women 18-34 this year vs. last year’s 201,000), up 12% in the women 18-49 race (692,000 vs. 616,000), up 12% in the women 25-54 demo (844,000 vs. 755,000) and up 9% in total viewers (2.8 million vs. 2.6 million). “Days of our Lives” equaled its biggest women 18-49 audience for a fourth quarter in three years, since averaging 790,000 in 2010; attracted its biggest women 25-54 audience in those same three years since attracting 956,000 in the fourth quarter of 2010; and generated its biggest fourth-quarter overall audience in four years, since averaging 3.2 million in 2009.